5 Axis CNC trimming machines up to 3400 x 1400mm. 3 Axis CNC machining up to 3600 x 2000mm. All supported by our CAD suite for seamless CAD/CAM interchange. Principally used to trim formings, all of our machines are highly versatile and have multiple tool & dual zone capability. Our latest machine has linear motors, giving movement speeds up to 15m/s and improved precision contouring accuracy. The large machining area of 3.6m x 2.0m allows us to nest profiles for maximum yield. Auto tool change carousel, enables swift changes for minimal down-time. 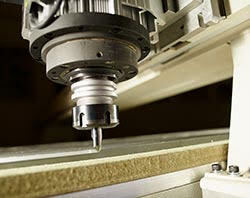 Principle uses; profile/panel cutting, rebating, chamfering, bullnosing, drilling, countersinking & counter-boring. 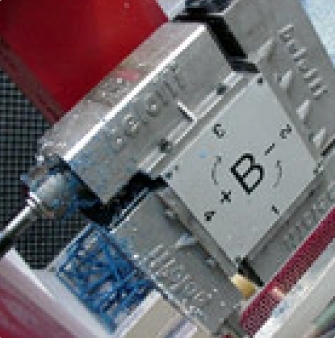 With a ‘Z’ axis (vertical) movement of 200mm, this process can also be used to trim component parts.